A friend from England is coming for lunch en route to his Eurostar home. He expects a good meal and you don’t want to disappoint him. But you’ve been working at your computer all morning and now he’s about to arrive. What is to be done? I have several dishes that I make on such occasions — easy to prepare and quintessentially French. 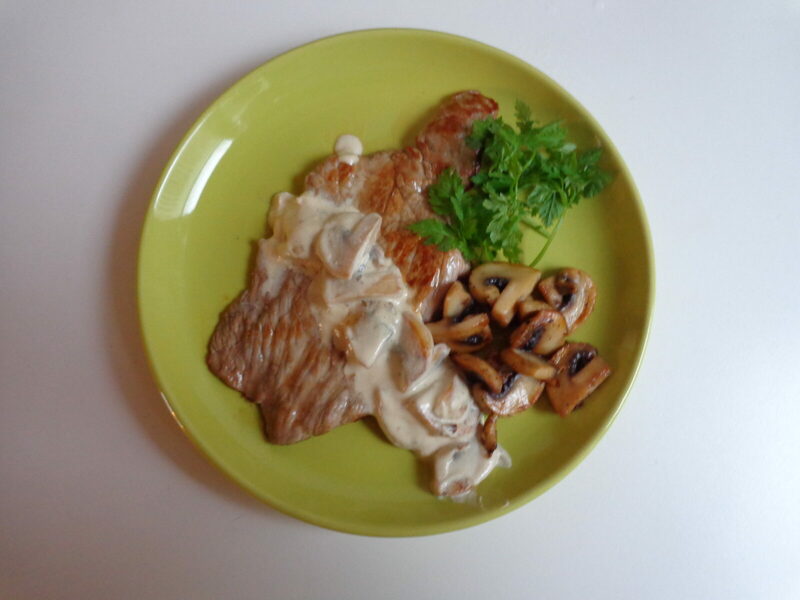 For example, veal scallops with cream and fresh mushrooms. This dish can be made in a matter of minutes — 5 minutes for the mushrooms and another 5 for the veal — and always makes a great impression at the table. If wild mushrooms like chanterelles (girolles) or porcinis (cèpes) are available, by all means use them. Otherwise any fresh mushrooms will do. 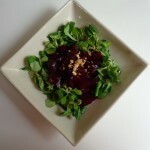 As a starter, another quintessentially French dish is a salad of lamb’s lettuce with beets. It’s a bistro favorite but also very easy to make at home, at least in France where beets come to the market already cooked. In places where beets are sold raw, this dish would take some forward planning. 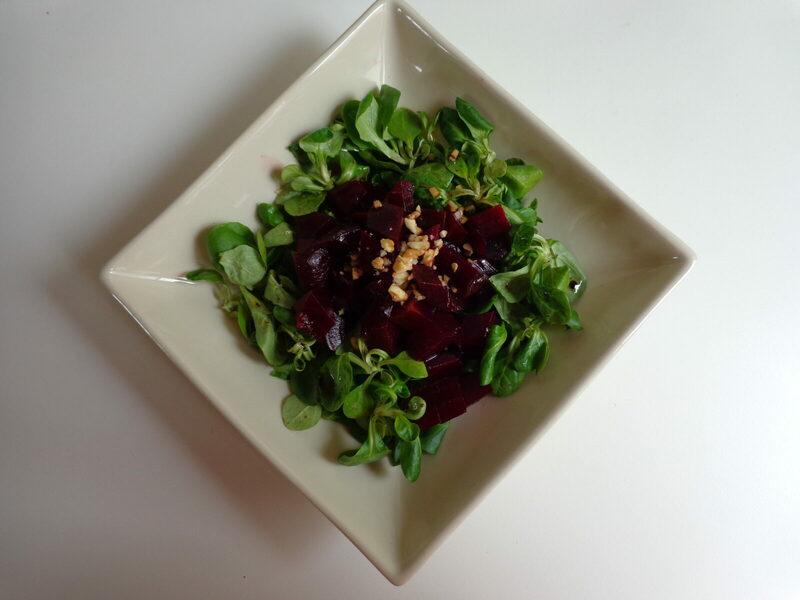 But once your beets are ready, composing the salad is quick and fun. Today marks the fourth day of this blog and I am still trouble-shooting. In order to make things more practical for both readers and myself, I have removed the page ‘Today’ with the recipes of the day and instead am linking new recipes straight to the appropriate page for each dish. This change has the benefit of allowing people who comment to see their remarks appear directly with each recipe. If you’d like to make a comment about ‘The Everyday French Chef’ in general, please use the form at the bottom of this page. This entry was posted in 3. Salads, 7. 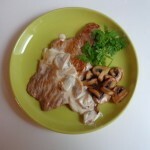 Meat Dishes and tagged beets, betterave, lamb's lettuce, mache, mushrooms, recipe, veal. Bookmark the permalink.